After a successful jumpstart with Talpa Radio to build a Google Assistant for radio and music streaming service JUKE, in 2018 Talpa approached us again to do something with voice. This time the question was to develop software for Amazon's speech-controlled assistant Alexa. Result: an Alexa app that lets you listen to your favorite radio stations in JUKE through voice commands. You can also ask Alexa to provide information about the radio program or the number being played. How it works? Dutch radio DJ Giel Beelen tried out our voice app for Alexa by, among other things, turning on Radio Veronica and asking for the latest news. 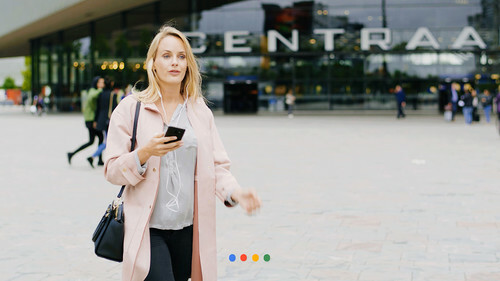 Google released its Dutch-language Assistant mid-2018, but the digital voice butler from Amazon, Alexa, is currently only available in English. Alexa works on Amazon's smart Echo speaker, which can be seen in the video with Giel. So, for Alexa we created an English voice app, which is called a 'skill' at Amazon. JUKE chose Alexa because this virtual assistant is a strong player in the field of audio streaming. Especially in the US, Alexa is hugely embraced by the public. 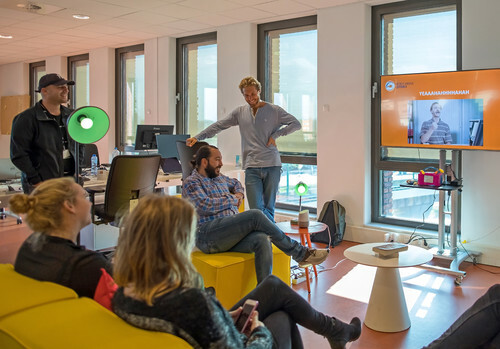 As an innovation driven company, JUKE expects the same to happen in the Netherlands and wants to use a beta version for its streaming service to test how listeners use voice-controlled devices. In the future, JUKE wants to extend the Alexa skill with the possibility of calling up theme channels at certain moods. "It is important to immediately embrace this new technology and make it available to early adopters, which will make JUKE a touchpoint richer and help people learn how to use voice control." Alexa en JUKE, hoe werkt dat?